After receiving countless questions from our audience relating to Intermittent Fasting, we decided to bring on an expert to clear the mud on this hot topic! 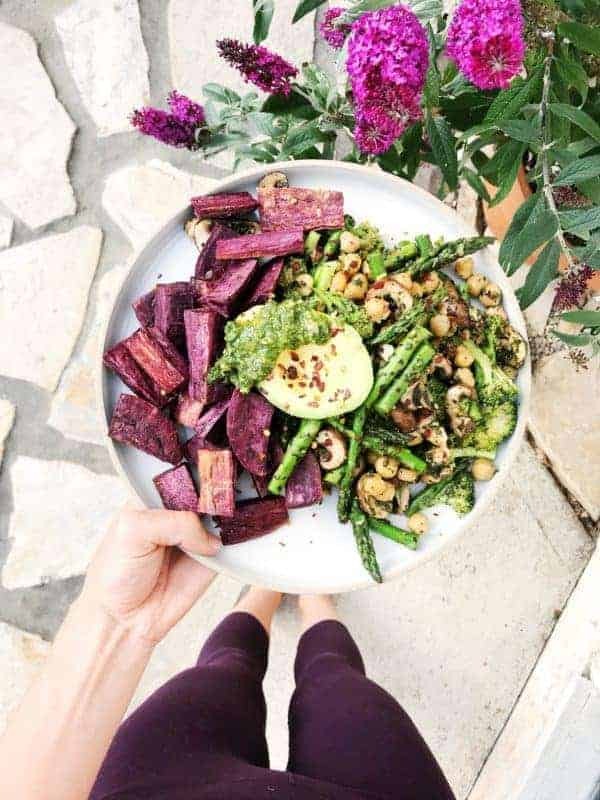 With all of the opinions around nutrition and promotion of quick-fix diets everywhere you look that promise long-lasting results and so many different styles of eating from vegan to paleo to keto to counting macros and everything in between, it’s easy to become overwhelmed. Even as a dietitian, I get overwhelmed from time to time. So today, we’re answering a handful of your Intermittent Fasting questions! But before we bring on the expert, I want to make sure we all understand that the best way of eating is the way of eating that’s sustainable, nourishing and makes you feel your best inside and out. This is what I refer to as “diet individuality,” because everyone’s needs are different! I also want to note that in an effort to learn the best way of eating for you, it’s OK to try different programs, different ways of eating, or even an elimination protocol to help you learn which foods make you feel your best and which ones do not. I encourage you to put your blinders on and do what is best for you! Now, if you feel good with your current health and well-being, keep doing what you’re doing! My personal experience with Intermittent Fasting. When I first heard about Intermittent Fasting (IF), I was of course skeptical. However, over time and after hearing success stories and learning more about this way of eating, out of curiosity, I decided to give it a try. At the time of making this decision, I had been going through some emotional/tough times with losing a grandma, a grandpa and my 7-year-old Goldendoodle all within just 6 months of time. In addition, I was feeling overworked, my anxiety had returned, my habit of grazing throughout the day was in full force vs. having well-balanced meals and I simply wasn’t feeling myself…at all. To keep this post a reasonable length, I won’t go into immense detail about my experience with IF so in short, I was pleasantly surprised with my experience. I followed the protocol that you’re about to learn about as close as possible and within weeks my anxiety reduced, my mood became much more stable, I was able to concentrate for longer periods of time and I started feeling myself again. Now of course, like with any habit change, there were some challenges, especially in the beginning. But I must say, it was a much easier transition than I anticipated. Allow me to introduce to you our guest and Intermittent Fasting expert, Autumn! Autumn is Certified Clinical Nutritionist with a Masters in Sports Nutrition and a Bachelors of Science in Nutrition & Dietetics. 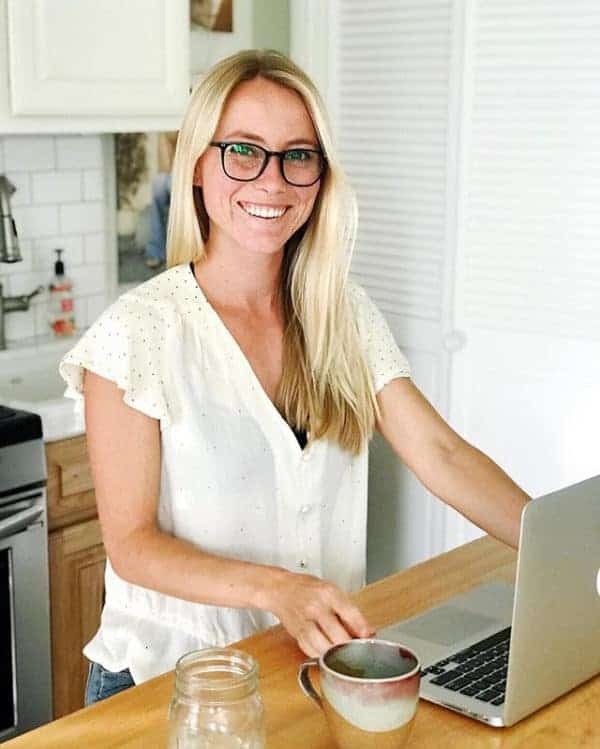 She previously worked for the popular wellness website, Tone it Up and now has her very own consulting business (both in person and online) based out of Manhattan Beach, California. Her passion is to help YOU achieve your wellness dreams through natural, science-backed nutrition and lifestyle strategies and delicious food tailored to your preferences and goals. Autumn has been a great resource in my personal Intermittent Fasting experience and you’ll find that her delivery of information is done in a way that is easy to understand and backed by research and science. Autumns approach to Intermittent Fasting includes ALL macronutrients (carbs, protein and fat) and focuses heavily on non-processed, whole foods. YES! After asking you, our audience, what questions you had relating to Intermittent Fasting, we compiled them all and chose the most commonly asked ones. Below are Autumn’s answers including some of her incredible resources. A: Intermittent Fasting (IF) is an eating strategy where all meals are eaten within a window of time. One of the most common “windows” is an 8-hour eating window. One thing to note, Intermittent Fasting is not calorie restriction. These two often mistakenly get paired together, but it’s unnecessary to decrease calories with IF in order to achieve fat-burning and gut-healing benefits. While technically IF doesn’t govern what you eat, your results and hormone balance will be affected if you don’t follow proper nutrient timing with IF. You can read more about nutrient timing and IF HERE. Q: What are the benefits of IF? Who can benefit? Will it help me lose fat? The science behind Intermittent Fasting is extremely interesting. If you’re interested in a deep dive into the science, check out my free workshop on Intermittent Fasting 101 HERE. Q: What is the best IF protocol? Is there a wrong way to do it? A: There are many different approaches to IF that mainly have to do with the length of your eating window. Some of my clients begin with a 10-hour eating window and work their way to an 8-hour eating window. Ideally, you want to aim for an 8-hour eating window for the best fat-burning, longevity, and maintenance results. However, there are definitely WRONG ways to utilize IF. One of the biggest mistakes I see is pairing it with calorie restriction. With the increased fat burning from IF, calorie restriction is unnecessary and can be detrimental to hormone balance. That’s why I created The Ultimate 21 Day Intermittent Fasting Program to clear up the confusion on how to approach IF. There are many amazing, healing properties that come with IF, but having the right approach to what you eat and when you eat it is extremely important. Q: How many days per week is recommended or is it every day? Is it still effective if you only do it some days, such as 4-5 days a week? A: The more often you use intermittent fasting, the more results you will experience. On days that I don’t utilize intermittent fasting, I tend to feel a little less energized and more bloated. Because of that, I personally use IF almost every day of the week because I feel my best when I do. I recommend using it as often as it feels right for your body and fits with your schedule. Q: I hear it’s bad for women (something about hormones? )…is this true? Will it put a woman’s body into starvation mode? A: From my experience, I’ve seen many women pair IF with calorie restriction, and that’s when some issues can arise. When used properly, IF is great for women. Studies have even shown that IF doesn’t have any impact on female hormones. What IF does do is increase insulin sensitivity. This is really important for women because we tend to become more resistant to insulin than men due to our higher levels of stress hormones. Insulin resistance is one of the leading contributing factors to fertility issues such as PCOS. So by using IF, you can decrease your insulin resistance. I go into further detail on how the female hormones are affected by IF in THIS video. 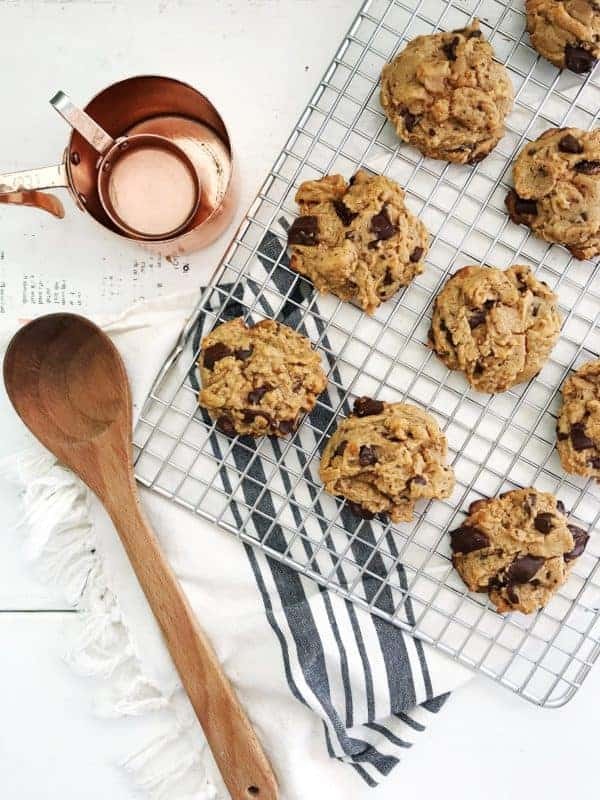 Get Autumn’s Chocolate Chip Cookie recipe here. Q: Can you have fatty coffee during your fasting hours or does that break it? 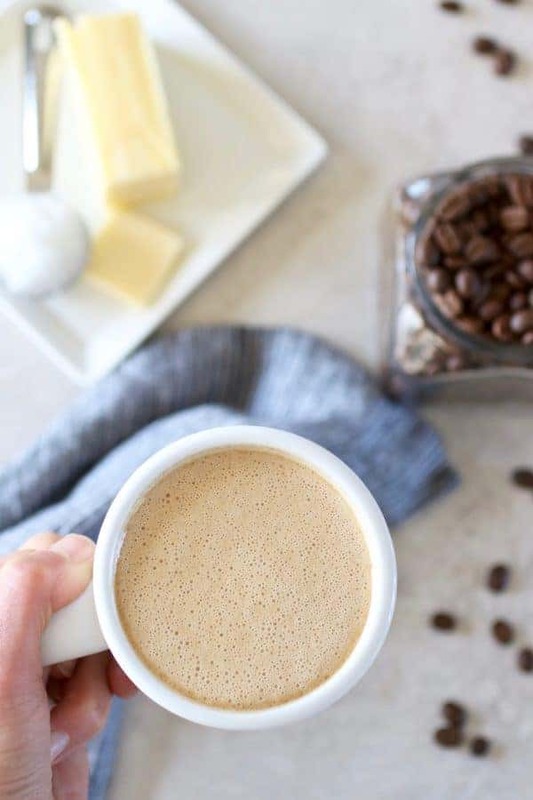 Thoughts on coffee with collagen in the morning before the first meal? 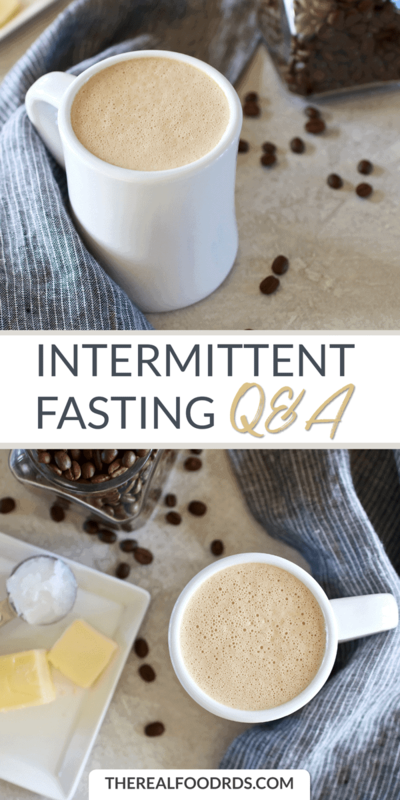 A: With the 21 Day Intermittent Fasting Program, the main goal is to reduce your insulin response through IF in order to decrease inflammation, tap into fat-burning mechanisms and boost energy levels. Carbohydrates and protein both stimulate insulin. Therefore, you don’t want any carbohydrates or protein (including collagen) during your fasting period. Fat on the other hand does NOT stimulate insulin. 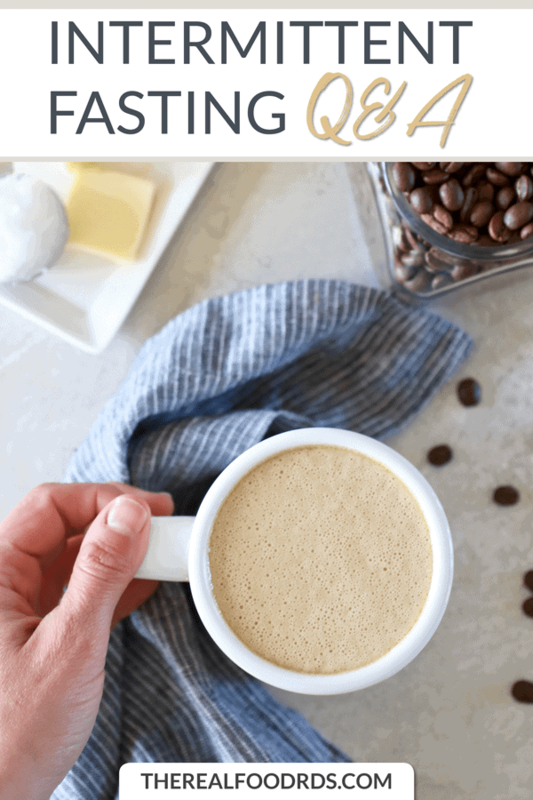 If you make a cup of Keto Coffee and have this during your fasting period, it does not raise your insulin levels and it works alongside the fast to reduce gut inflammation and tap into fat-burning mechanisms. This is due to the fact that it only contains healthy fats – no protein or carbs. Q: Does it matter if you break a fast with carbs over fat and protein? A: Absolutely! When you’re in a fasted state, your insulin levels are stable. If you break your fast with a high-carb, high-sugar meal, this will cause your body to have an immediate increase in insulin that leads to sugar cravings throughout the day. In order to ease out of a fasted state, I recommend starting with a higher fat meal like THIS smoothie from the 21 Day Intermittent Fasting Program. This will help to stabilize your blood glucose levels so that you feel satiated and you don’t have wild spikes and falls in insulin that make you feel “hangry” later in the day. Q: For someone who is a beginner and works a full-time job, how would you recommend starting? A: When first starting out, the biggest tip I have is to use Keto Coffee (or Keto Chai Tea) during your fasted state. The healthy fats make it surprisingly easy to wait until your window starts to begin eating. I also have a video on my 7 best tips for beginners HERE. Q: What are your thoughts on fasting 12 hours on an overnight shift? A: Keep in mind that while you sleep, you are technically fasting and this is part of your fasting period. If you have an overnight shift, I recommend using the same principles of IF, but during your nighttime shift. Nutrient timing will be especially important here to make sure that you get deep sleep outside of normal sleep hours. I review nutrient timing in the 21 Day Intermittent Fasting Program. Q: Is it safe to IF when working out first thing in the A.M.? Or should we be eating immediately after? A: Yes! It’s completely safe to workout first thing in the morning in a fasted state! Your body naturally increases growth hormone while in a fasted state. This increase in growth hormone helps to protect your muscles from muscle breakdown while in a fasted state. Plus, your body is in a fat-burning state during your fasted workout, which means you get even more fat-burning benefits from your workout! Q: Is it a good idea for people with adrenal/thyroid issues? Is IF safe for diabetic or pre-diabetics? Is it wise for someone with an autoimmune disorder to do IF? A: With any change, it’s best to consult with your nutritionist to make sure it fits your health history. I have worked with clients who have Type 2 Diabetes, adrenal fatigue, autoimmune issues and all different types of GI conditions ranging from bloating to Crohn’s. Using the 21 Day Intermittent Fasting Program protocols, I have seen vast improvements for each type of condition. Because of the insulin sensitivity benefits, it has improved the health of my Type 2 Diabetes clients. Because of the energy-increasing benefits, it’s helped energize my adrenal fatigue clients. And because of the cellular cleanup that occurs with IF, it has helped to reverse symptoms of certain autoimmune diseases. I have one client who significantly reduced her RA inflammation and symptoms using the 21 Day Intermittent Fasting Program. If you have a health condition and you are interested in utilizing IF, I highly recommend working one-on-one with a nutritionist well versed in the IF and nutrient-timing protocols to help tailor it to your lifestyle and needs. Q: What do you need to supplement electrolytes during IF? A: With fasting, you need to make sure that you are increasing your mineral and water intake, especially during the fast. Minerals will not break your fast. I usually recommend a pinch of Celtic Sea Salt with water taken in the morning to help boost hydration. It’s also a great tool to prevent headaches that are usually caused by dehydration or mineral imbalance! A big thanks to Autumn for taking the time out of her day to answer these questions. 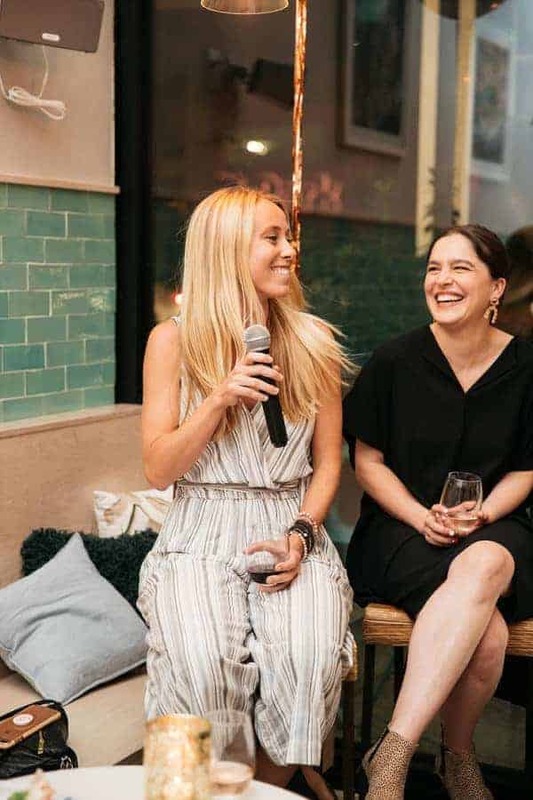 You can connect with Autumn and learn more from her on her website where she shares weekly articles, on Instagram where she shares daily posts & motivation or on her YouTube channel.